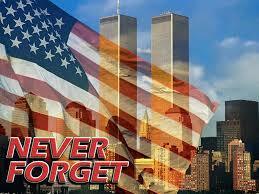 It’s 2013, a nd today we now refer to the terrorist attacks of 2001 as “the first” 9/11 attacks. No longer simply a time to mourn the innocent civilians murdered on that day, our chests tighten as we wonder what jihadists around the world will do today and every year on this day. 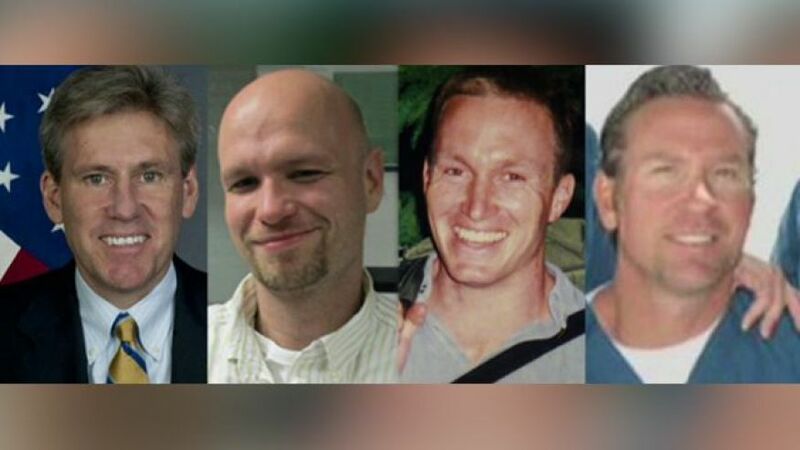 A year after the 2011 the attack on our consulate in Benghazi, we are no closer to truly exposing the betrayal and vast cover-up by President Obama and his administration. And while they refused to react appropriately to that act of war, now they want to force our military to side with jihadists in another country’s civil war. Today we’re broke and the world is a much more dangerous place for everyone except jihadists, mostly because political correctness deliberately obstructs our ability to deal with radical Islam. Just look how far we’ve come. Twelve years later, Islam is thriving because of the government’s consistent and stubborn refusal to name the enemy and stand against them. What started with the seemingly compassionate tactic of winning “hearts and minds” (instead of winning wars) under Bush has ended with the Obama administration purging all references to jihad and radical Islam from its documentation. For the sake of those (silent) moderate Muslims who are too terrified to speak or stand against the jihadists, all must cower and stand vulnerable to violent attacks. The thought that standing openly against radical Islam, even if it means the temporary discomfort of profiling, would actually do the most to protect moderate Muslims and everyone else, is not allowed. Our borders are more open than ever, our immigration laws deliberately unenforced, and immigration standards lowered to farcicality. Boston was bombed by a radical jihadist who was admitted into the country by – at best – politically correct government bureaucrats who deliberately ignored specific warnings about him. The TSA uselessly invades our privacy while doing nothing to actually reduce the likelihood of attacks to our airlines. Perfectly willing to molest little old ladies, babies, children and pets, they refuse to canvas for actual likely suspects. Nowadays plans to travel abroad must include ever more serious consideration for the violence in countries increasingly permeated by Islamists. Today we cannot think of going to countries like Egypt, where once western tourists happily stood in awe of the great pyramids. Countries like France, Germany and England are struggling with the violent fruits of their politically correct policies in dealing with Muslim immigrants who abuse women and children and execute violence on innocent civilians every chance they get. England, once the most civilized country in the world, is now reckoning with beheadings in its streets in broad daylight. Twelve years after radical Islamists hijacked our planes to kill as many innocent civilians as possible, children in our schools are made to say Muslim prayers, don the hijab, and cater to prayer time for Muslims in order to “understand” a whitewashed version of Muslim religion and culture. 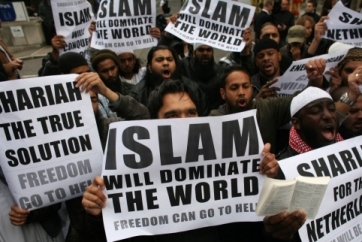 The truth about the omnipresent violence and intolerance of Islam is never to be spoken. Meanwhile Christian prayer is banned those same schools, our public places are being stripped of any references to our moral foundation, the Ten Commandments, or other Judeo-Christian references. 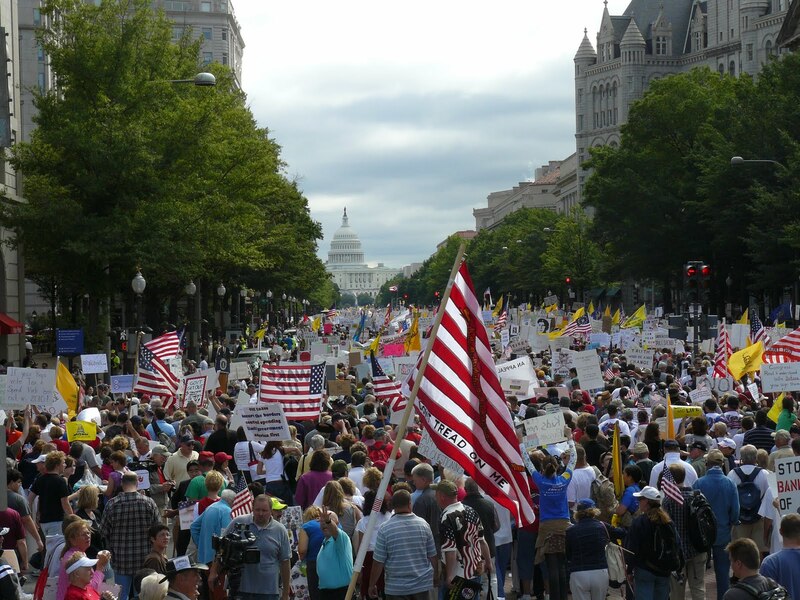 Christians and Jews are violently persecuted by devoted Islamists all over the globe while left-wing pundits still call Islam the “religion of peace.” And today in 2013, there is a Million Muslim March happening in Washington D.C. where Muslims are actually protesting being victimized. We have truly tumbled deep into the rabbit hole. Those who fought in Iraq and Afghanistan wonder (long since) what it was all for. Because Bush’s policy of “winning hearts and minds” was the driving force for military action after our initial victory in Iraq in 2003, the rest of the war was executed not to win. Our enemy is given more protection than our own warfighters whose hands are tied by absurd rules of engagement. Now you have to be shot at twice and be able to confirm that the enemy has not put down his weapon after shooting before you can retaliate. We have spent billions more than anything in Afghanistan is worth, and needlessly sacrificed our men and women while helping Afghanistan’s heroine trade to flourish. And we now know that our soldiers may be deliberately sent to their deaths as happened in the case of Extortion 17. Twelve years later, our own Department of Homeland “Security” proclaims that veterans who fought terrorists are the next likely terrorists, along Tea Partiers, abortion-opponents and anyone who believes in their right to defend themselves. In a time of more violence than ever, our government is doing everything it can to disarm and stigmatize law-abiding citizens exercising their God-given right to bear arms. The government is voluntarily impotent at protecting citizens from criminals and terrorists, and it doesn’t want us protecting ourselves either. And who can forget that over a decade later peacenik nitwits old and young who flocked to anti-war and anti-Patriot-Act protests for eight years under Bush are trapped by their own fallacy that opposing President Obama (on war with Syria, or anything else) is racist. At least Bush’s Patriot Act required a warrant and only monitored phone calls to and from known terrorists. Now the NSA is spying on all of us without warrant for no reason except political disagreement. NDAA proclaims you can be jailed indefinitely without trial, and narry a lefty protester in sight. Now we know for sure – leftists don’t really oppose war, they don’t oppose spying, they don’t oppose assaults on our civil rights, they don’t believe in political dissent. It’s all about opposing Republicans and conservatives. No principle, no thought, just blind opposition. Think what we could have done over twelve years with a dedicated, no-PC approach to stopping radical Islamist violence. Think what violence could have been stopped, what radicals could have been deterred, had our representatives staunchly exposed the truth about Islamic jihadists. What if they had greeted the whining question of anti-Bush pacifists, “Why do they hate us?” with the condescending ridicule it deserves? This is not to suggest there is no room for hearts and minds. However, you can’t appeal to radicals whose hearts and minds are set on violence and intolerance toward those who don’t believe as they do. Unfortunately, they only respond to force. We must have the fortitude to execute that force, and actually, if we stood strongly against these harbingers of war, violence, poverty and misery, we would win more hearts and minds. We have Democrats and Republicans alike to thank for this sad state twelve years after “the first” 9-11 attacks. Yet the incompetence and spinelessness in Washington has stimulated an awakening of patriots across the country who are rediscovering and returning to the principles on which our country was founded. Not only that, they are waking to the urgency of action, abandoning the notion that we can go along with our lives, vote every four years and remain otherwise uninvolved. Many are awakening to what that dedication of “our lives, our fortune, and our sacred honor,” really meant in our Declaration of Independence. Now that we have seen the fruits of twelve years of political correctness in the face of violent, intolerant, radical Islam, this is more important than ever. This blog is called Political Animal based on Aristotle’s words from The Politics: “Man is, by nature, a political animal.” He meant that, especially because we are endowed with speech, it is part of our human nature to be keenly involved in the affairs of our polis, or city-state. To not be politically involved, you were not fulfilling your human nature. What is happening in our country is our responsibility. We must rediscover our human nature as Aristotle and the ancient Greeks saw it. Only that engagement will foment the big changes we need to change the out-of-control direction of our country. Delve into the principles of the American Founding and stand, speak out, run for office, become a Political Animal. If we don’t, we are condemned to whatever those who are politically engaged impose upon us. Twelve years after September 11, 2001, we know where that leads. As usual Jude is right on! What’s happening in this country is our fault because too many are not politically engaged. We must be the watchdogs or we will be the servants. This is a call to be engaged!